When we brought the understated single-phase GPU-2400 315 to Micron’s hangar for their brand-new Gulfstream G280, they didn’t believe it could provide enough continuous power for their new corporate jet – let alone starting power. But they were pleasantly surprised to find that not only did the GPU-2400 315 supply flawless start and continuous power – it did so absolutely silently. Their other GPU was so loud, they had to yell over it anytime it was running in the hangar. Now, they hardly notice this little orange unit powering the plane. It supplied continuous power for over 6 hours without even getting warm, and nobody’s voice was hoarse by the end of the day. 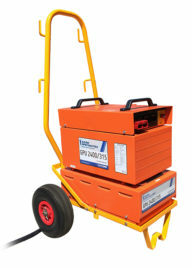 Offering 315 amps of continuous power and 2450 peak starting amps, the GPU 2400-315 is an ideal solution for 28V DC mobile ground power when single-phase input is the only available option. 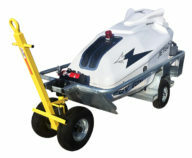 Designed in collaboration with Powervamp and mounted on a heavy-duty trolley with integrated cable storage, this lightweight unit offers robust power and aircraft protection features. Want to learn more? Click here to read about the GPU 2400-315 and request a quote! 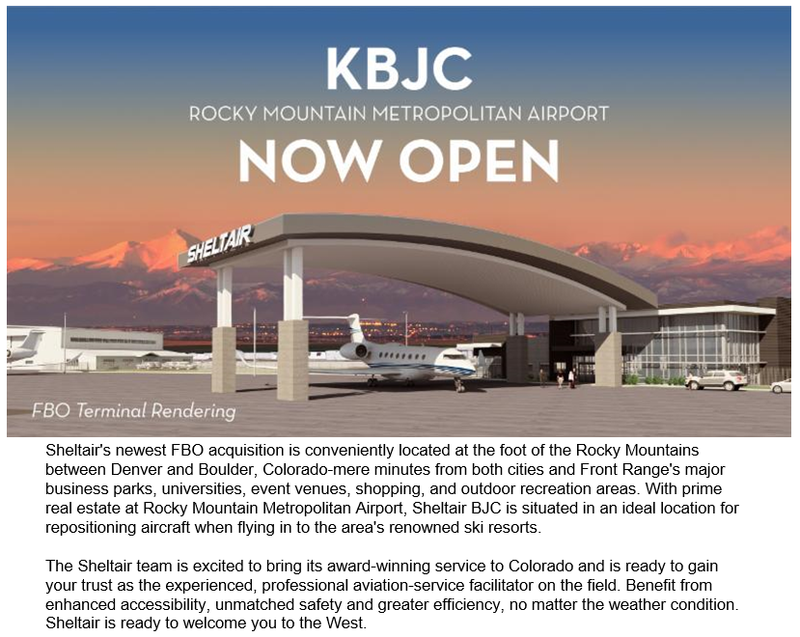 Sheltair opens new FBO in Broomfield, CO.
General Manager, Mr. Craig Foster and Greg Garghill, Operations Manager, were present for training and commissioning of the equipment by the AERO Specialties team, Rod Gray and Dennis Twohy. 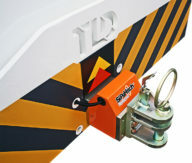 SiPsHitch, AERO’s own patented tow force monitoring system, will be a huge bonus to the operation of the TMX-50 tractor – effectively shrinking the tractor and making it extremely safe to use with smaller aircraft. This truly allows an operator to utilize a tractor capable of towing a Boeing 737 as well as a Cessna 150 and everything in between. The additional benefit of active force protection will be a bonus in the slippery conditions that can often be present at this location during the winter months. Congratulations to Sheltair for choosing a fantastic location to open a new FBO and our best wishes to the team for what we are sure is to be a success. Want to learn more about the SiPsHitch system? Click here to view the product page and request a quote. The JetGo 300 is designed to provide continuous power for avionics and to start the engines on all DC turbine and turboprop aircraft. JetGo 300 users benefit from a compact unit, user friendly controls and very low operating costs, with the further advantage of low dBA signature and reduced CO2 emissions. Normally, a diesel GPU four times the size of the JetGo 300 is necessary to deliver the peak amperage for starting large turbines. No other GPU delivers the versatility and convenience of the JetGo 300. 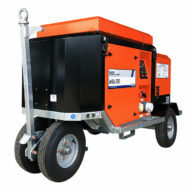 This compact and efficient diesel GPU also provides single phase AC output to enable ground staff to operate vacuum cleaners or other equipment during night servicing. 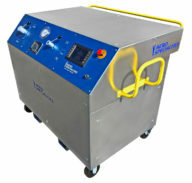 Shore Power System: Allows unit to be powered by local power grid. This unique option allows the unit to be run as a rectifier in-hangar without running the motor. Power Boost System: The PBS sustains voltage during the critical initial start sequence on large turboprop aircraft with shaft or free turbine engines, thereby ensuring a fast, cool start while maximising battery life. Want more info? Click here to request a quote on the new JetGo 300 GPU! 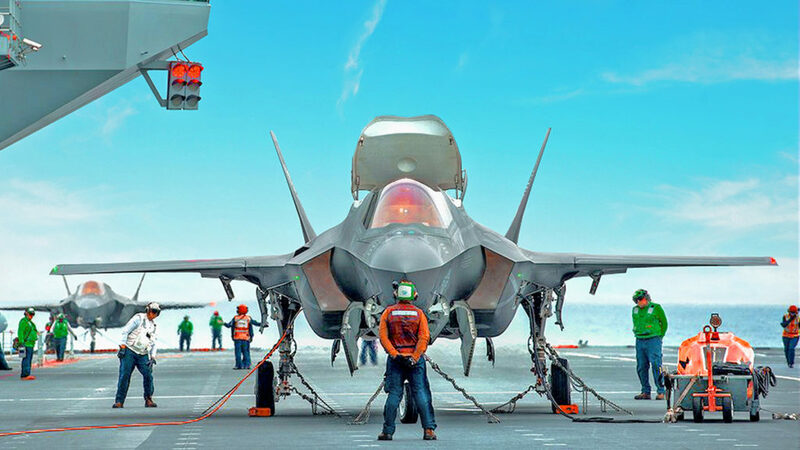 AERO Specialties is proud to supply its JetGo ground power units in response to a requirement for powering the complex electrical systems on the latest F-35 Lightening Jets whilst aboard the HMS Queen Elizabeth. The £3.1bn aircraft carrier welcomed back the F-35 Lightning jets for the second stage of their intensive flying trials. The trials will eventually accumulate an anticipated 500+ take offs and landings. The goal was to test the aircraft in more challenging wind conditions and to practice the general handling and loading of weapons. The first of three stages were completed earlier this year and included developmental testing aimed to generate enough flight test data to certify the aircraft was ready for future operational testing aboard the ship. The third and final developmental test, to include operational testing, is scheduled for 2019. Collectively, the tests will help the Ministry of Defense reach an initial operating capability of the F-35 by 2020. The JetGo is an extremely compact, full-powered ground power unit (GPU) offering impressive continuous and peak power in addition to sophisticated active aircraft protection systems. The AERO designed, and manufactured, JetGo GPU will be used to provide clean power to the F-35 whilst on the ship to enable systems checks, software upgrades and GPS programming. The unit’s lightweight and compact size allows for easy mobility, whether it be across the ramp, the runway…or the Queen Elizabeth Class aircraft carrier! To find out how we can assist with your specific ground power requirements, contact our dedicated GPU team at info@aerospecialties.com. 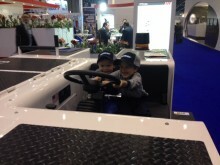 Can’t wait to drive an Eagle Aircraft Tractor! We love our Eagle Tug! Happy new Eagle owners pictured above. The 2013 Super Bowl XLVII was exciting for many reasons, most notably the large power outage that altered the game dynamics, arguably giving the 49ers a momentum advantage that was ultimately squandered. 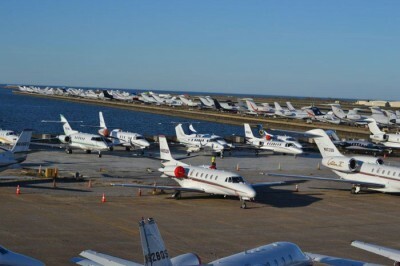 Nonetheless, rest assured that the power was flowing at the local FBOs that reached maximum capacity during the Super Bowl. 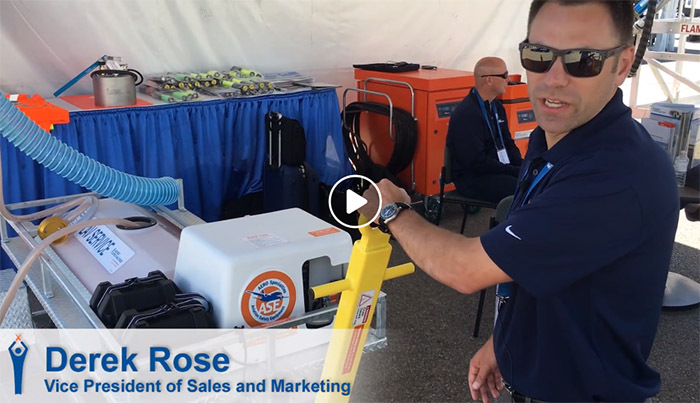 Rod Gray of AERO Specialties was on-hand to provide Landmark Aviation NEW and Signature Flight Support MSY aircraft ground support equipment that serviced the remarkable volume of private aircraft arriving for the event. 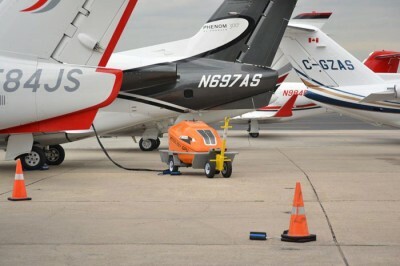 The AERO JetGo ground power units (GPU) and Eagle TT-Series tow tractors ensured there was enough power to meet the demands at Landmark NEW and Signature MSY. Between the Eagle TT-12D tug and JetGo 550Mti-RJ GPU, it was a close tie for event MVP. Despite complications at the Mercedes-Benz Superdome, Rod, AERO’s U.S. Atlantic Division Director captured all the action on the ramp. Rod ensured the American-made muscle under his supervision provided the power required to start jet engines and move aircraft during one of the highest trafficked sporting events for private aircraft. 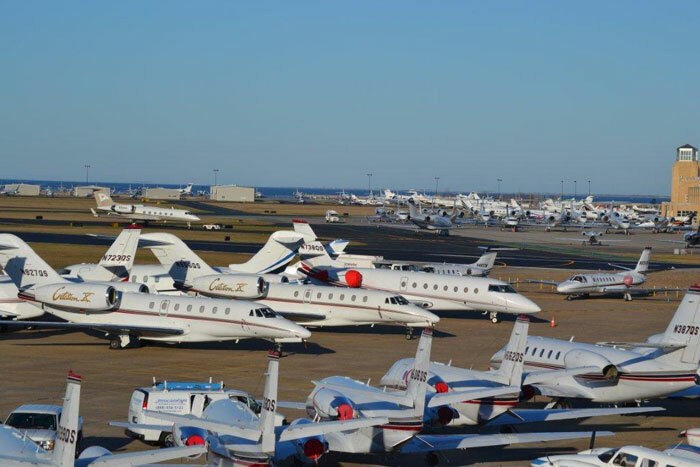 On game day, Sunday, February 3, Landmark NEW had 320 aircraft parked on their ramp. Over the course of the weekend Landmark NEW serviced approximately 700 aircraft and brought in 28 extra line personnel from other Landmark locations to operate the service equipment. The hum of turbine and diesel engines rang strong from 3 staging areas setup to provide all aircraft support services. Each independent equipment service area included GPUs, tugs, towbars and heads, lavatory carts, and potable water carts. Landmark NEW had their program dialed-in and AERO is extremely happy to have provided them with the JetGo 550Mti-RJ and Eagle TT-12D that helped this amazing operational feat become a success. Over at Signature MSY, the additional GSE was helped all aspects of their operation as well. 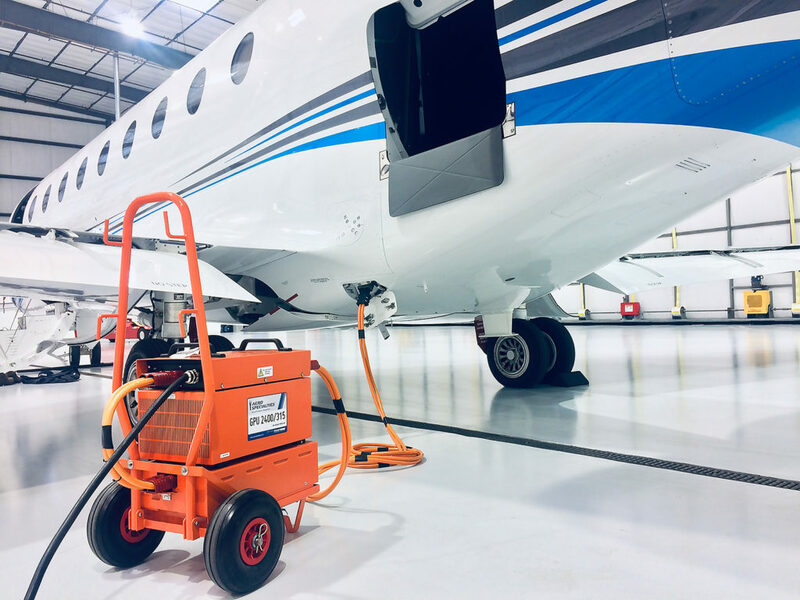 Lead Line Service Technician, Jeret Peltier, thought the JetGo GPU was easy to operate and maneuver, which afforded his staff time to service higher volumes of aircraft. The hybrid unit’s low noise levels enhance the customer service experience that Signature customers have come to know and expect. We’re extremely happy that Jeret and his crew believe the JetGo not only performed under pressure, but helped create increased value for Signature MSY customers. Manufacturing high-quality equipment that exceeds our customers’ expectations is priority number one here at AERO Specialties and we are always eager to impress new customers. 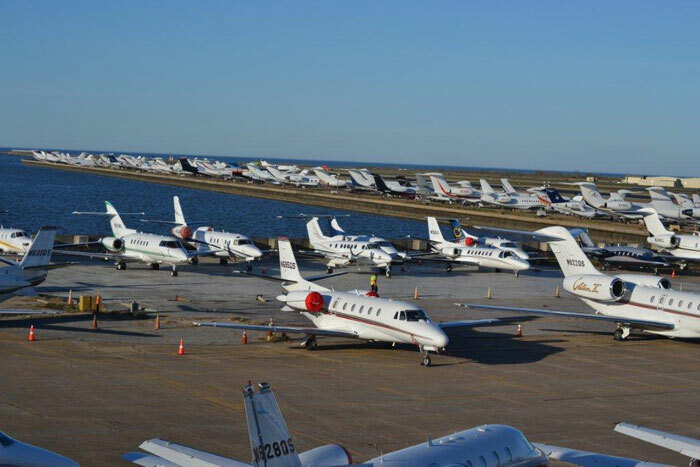 We here at AERO appreciate the amazing opportunity to work with top-notch operations like Landmark NEW and Signature MSY during operationally critical times. The Super Bowl is a spectacular display of sportsmanship and entertainment, and the aircraft GSE operations behind such events don’t go unmatched. 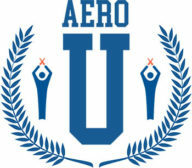 AERO is proud to supply equipment solutions that enable smooth operations at special events. Please contact us with rental equipment questions or inquiries for your next event. Questions often arise regarding gauge calibration regulations when servicing aircraft oxygen and nitrogen systems. The Federal Aviation Administration (FAA) regularly conducts aircraft support equipment inspections and may impose monetary fines for using equipment with expired calibration certificates. Equipment that does not meet FAA guidelines can also be removed from service at the discretion of the FAA. It often surprises customers that there is not an exact timetable or calibration cycle dates specified by the FAA for recalibration of oxygen and nitrogen service systems and their oxygen/nitrogen regulators and booster (intensifier) systems. Most common industry and military standards determine the typical gauge calibration life cycle to be 6 to 12 months. The objective of gauge recalibration is to minimize out-of-tolerance conditions to an acceptable level. Consensus or organizational standards may be established at operations where no national standards exist. If no consensus standards have been established, the original equipment manufacturer (OEM) standards should be used. The proper way to establish the correct gauge recalibration frequency standard is to either examine the literature from the original equipment manufacturer to determine the stability of the gauge(s) and/or adhere to the standards set forth by your organization. Ultimately it is the responsibility of the end user (owner) of the oxygen & nitrogen systems (or any aircraft servicing equipment) to determine the appropriate calibration interval under the requirements of its own quality management system. Obviously, the potential issues that can arise from operating equipment that is past its re-calibration due date can be costly – through damage to the aircraft, danger to personnel (during tire servicing for example) or via the removal, “red tag” or quarantine of service equipment… Pressure gauges 12 months or older can be prone to experiencing out of tolerance conditions. Gauge degradation is inevitable over the lifetime of any gas pressure measuring instrument and gauge accuracy is properly ensured through periodic professional calibration. The cost of such recalibration is relatively inexpensive, but can often surpass the total cost of purchasing new calibration certified gauges (labor costs, shipping costs, and equipment downtime add up in the long run). For this reason, most customers choose to purchase new gauges in lieu of recalibration. As always, we are more than willing to assist or answer any questions. We provide new gauges and calibration services for customers on a daily basis. The Hobart JetEx series ground power units (GPU) are in my opinion the most widely used diesel driven 28.5vDC GPU in the USA (and possibly the world). It is a common occurrence to see these unit on the ramps at FBOs, corporate flight departments, regional airlines and military installations (I also see, well more like “hear” many Davco Magnum units out on the regional airline ramps). While Hobart may be the “industry standard” and name brand in the aviation world; this is a large market segment with many other companies manufacturing DC & AC GPUs (some higher quality and some of much lower quality). With this said, I have chosen to compare a rebuilt Hobart JetEx4D to a new JetGo GPU, as they have similar price points. My selection for this test was the JetGo 550Mti, which is the most popular of the JetGo models and leads the diesel-electric hybrid market in both technology and function. My test method was through the use of Cannon L-28 and L-29 Load Banks, which accurately simulates the amperage draw of both aircraft engine starts and the continuous loads you can expect from a regional aircraft or mid-size business jet running avionics, lights and the electrical conditioned air systems where applicable. While both units performed very well, and provided more than enough power needed to safely start and support the power needs of most aircraft; the JetGo unit slightly outperformed the Hobart unit in response time, amperage/voltage and engine “bog”. The JetGo 550Mti also provides more peak starting amperage than the venerable Hobart JetEx4D (550Mti = 2300 peak amps and JetEx4D= 2000 peak amps) and both easily put out 550 continuous amps. Though the JetGo was noticeably quieter and burned 56 percent less fuel over the course of the test operations. In addition to the previously mentioned, the JetGo unit was much smaller, lighter and easier to use; with little room for any operator error that could lead to hot starts or aircraft damage (the JetGo was basically push button operation with full automation). Another advantage of the JetGo was its ability to provide 24vDC power without the engine running, allowing customers with 24 volt avionics packages the ability to run preflight checks and avionics updates inside the hangar (via the onboard hybrid battery system). While both the JetEx4D and JetGo 550Mti held up to expectations and performed similarly during the load bank tests; they are further separated by the low level of maintenance the JetGo GPU required during the preventative maintenance procedures. Not to mention the price, as the cost of a new JetGo is similar to the cost of a rebuilt JetEx4D…. Holiday greetings from the crew at AERO Specialties! We would like to wish everyone, on all continents, from every religion and culture happy holidays and cheers to a prosperous new year (according to the Gregorian calendar). Tiptoeing around ethnocentricity, our best thoughts go out to all around the world! We are thankful for the new customers we have gained and the returning customers who continued to support us in 2011. We strive to manufacture and provide only the highest quality aircraft ground support equipment. We recognize that it is our customers who need our equipment; and we work hard to offer reliable equipment with the best support and service available in the industry. The fabricators, machinists, welders, mechanics and painters that manufacture our lavatory, potable water, nitrogen and oxygen service carts as well as aircraft towbars and heads are hard at work trying to keep product in-stock and on our shelves. Production capacity is increasing. We have hired several new employees over the course of the past year to meet the increased demand for our GSE. Our manufacturing facility is in full tilt, producing GSE that will be delivered to every corner of our planet. 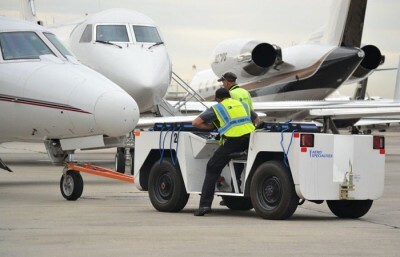 The prospects for 2012 are looking positive and efforts are underway to introduce more products to help aviation ground handling operations on your ramp. Our commitment to customer service and product quality has never been higher as we move forward. Thank you and happy holidays from everyone at AERO! Děkuji, 謝謝, salamat, merci, תודה, Շնորհակալություն, ačiū, शुक्रिया, terima kasih, gracias, أشكرك, cảm ơn, Спасибо, Takk. Yesterday was ride your bicycle to work day at AERO Specialties! Approximately 50% of our 30-person strong workforce participated with the remainder carpooling. There were only a handful of cars in our parking lot. Commuting distances ranged from only a couple miles up to 20 miles. For everyone that rode or carpooled, a free lunch was provided by the president, Matt Sheehan. Thanks, Matt, we appreciated it and considered it a success! Encouraging bicycle commuting is a win-win scenario for AERO. In an effort to create a more green workplace (akin to our diesel-electric hybrid ground power units and Eagle electric aircraft tugs), AERO employees are taking an active role to reduce emissions, improve their health and save on fuel expenses. Healthy, alert employees are proven to be more successful at their jobs – important for our GSE manufacturing standards. We want to provide you with the best equipment possible and are taking proactive measures to ensure the quality of our precision-driven manufacturing processes – all while saving the environment and money. More AERO bicycle commute days are currently in the works. We are excited to encourage more employees to ride for the next event and hope to increase participation. As mentioned in a previous post, I have embarked on a grand road trip that will showcase our latest aircraft GSE product offerings to current and new customers on the East Coast of the U.S. Here is an abbreviated version of a GSE operation that has been my dream for years. It has been quite a journey thus far…leaving Boise, ID, on my way to the Atlantic seaboard, I stopped off in Taylor, MI to hang out with the team at Eagle Tugs, get some necessary hands-on training and observe the high-quality manufacturing processes that are required to build the advanced electrical systems on Eagle’s line of electric aircraft pushback tugs and aircraft tow tractors. Big thanks to Jace Morgan and Justin Akinleye for their awesome hospitality. They build some amazing equipment. Heading East from Taylor, I barely left the Eagle Tugs facility in my RV before the intercooler on the diesel engine turbocharger decided to stop working. I had almost made it to Ohio without any complications, my lead foot may have been a contributing factor, but don’t tell the boss…Anyways, I ended up spending a week in Detroit and good chunk of cash getting my motorized pony on the road again. Fast forward, I arrived at my first planned airport of the GSE Product Showcase Tour, Westchester County Airport in White Plains, NY. I enjoyed meeting and spending time with Dan, Walter and the crew at Panorama Flight Services. 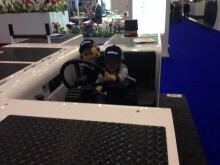 They gave nothing but positive feedback on the JetGo Ground Power Units (GPUs). After a successful initiation of the GSE Showcase Tour, I headed down the ramp to visit the folks at Million Air who were excited to operate some new GSE. Ted, Mike and Bill at Million Air were exceptionally accommodating and helped move my ‘train’ of vehicles and equipment into place with their trusty Gators and Bobcats. Million Air was gracious enough to provide a complimentary valet service for the RV and allowed me to camp out in their car park (yes, I am Australian). These guys put the ramp equipment through the ringer and it still came out shinning. It was great to see AERO’s equipment tested by some of the best in the business and result in nothing but smiles. Thanks Million Air for your warm reception; it was my pleasure. The initial stop on the GSE Product Showcase Tour was a success all-in-all. I’m still working out some kinks in the operation, but we’ll soon have this production dialed in. It was topped off by a stop at the local watering hole, the Cobblestone. There is nothing like some chicken parmesan to close several days of GSE-filled excitement. This first portion of my journey has certainly been a learning experience. I’ll soon be on my way to Teterboro Airport in Northern Jersey. I can’t wait to see what is in store for me there. I’m looking forward to keeping updated on my whereabouts. Check back soon. Cheers from White Plains. We recently had the pleasure of hosting Mark Merten, from Australia, at our Boise manufacturing facility. Mark is a representative of GSE Services Pty Ltd., our new distributor in the Australia Oceania region. Mark embarked on quite the extensive motorcycle journey down the West Coast of the North American continent, heading South from Alaska, and decided to stop by to check out our facility. After riding his motorcycle for 5 days, and 2600 miles later, Mark showed up prepared to learn about our aircraft ground support equipment manufacturing processes and ended up shipping 5 towbars back to Australia. Mark is pictured here (left) with AERO Sales Representative Brad Streeter. During his facility tour and equipment training session, Mark helped our oxygen and nitrogen department build our oxygen and nitrogen aircraft service carts. 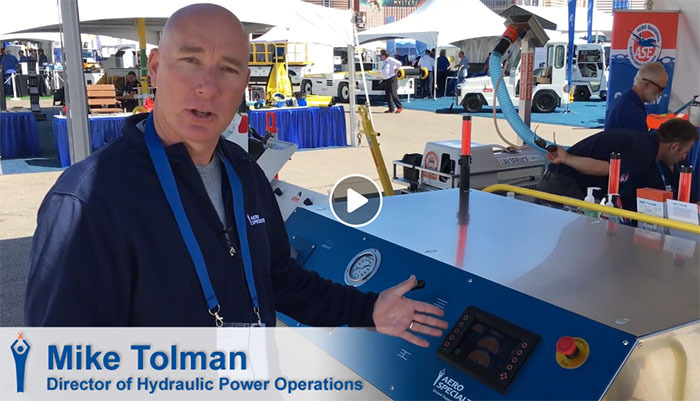 Specifically, Mark worked on our 2-bottle Tilt N Tow service cart and our 3-bottle remote service oxygen cart, complete with an onboard nitrogen power supply, which replaces the compressed shop air normally used on a hanger-specific unit. Mark also participated in the building of a JetGo 550Mti ground power unit (GPU), one product in our new line of aircraft GPUs. He enthusiastically jumped in and got his hands dirty, right alongside our diesel mechanics. Mark had no problem fitting in with our crew and we are confident his company will complement and enhance our global image in the GSE industry. Mark’s adventurous spirit is an indication of how he and his team at GSE Services will represent our brand in the Australia Oceania region, which consists of Fiji, New Zealand and the surrounding islands. We are proud to have influential representation in this region and hope to expand our reach through this distribution agreement. Mark’s intimate knowledge of the aircraft GSE industry is an exceptional asset to us and will prove invaluable as more of our aircraft gse products are supplied to airlines, FBOs, MROs and corporate flight departments in and around Australia. Good luck Mark! We are envious of your adventurous spirit and wish GSE Services success as we establish and grow our new business relationship. Cheers, mate! Throw another shrimp on the barbie for us! More information on GSE Services is available at www.gseservices.com.au. AERO Specialties has a few reasons to celebrate this May that are worth sharing. We were the recent recipient of the 2011 U.S. Small Business Administration’s (SBA) Northwest Region Exporter of the Year Award. This recognition comes in addition to being designated by the SBA as the 2011 Idaho Exporter of the Year. AERO Specialties’s achievements were honored during the Boise, Idaho World Trade Day celebration, held on May 4, 2011 at Boise State University. We have worked very hard over the course of the past year and are extremely proud to be honored by the SBA for our contributions to growing the U.S. export market. Obstructions in the supply chain seem to be hampering the manufacturing efforts of other companies in our industry. We are very well positioned to meet manufacturing demands and capitalize on the resurging economy by overcoming supply chain and logistical problems. We are attempting to avoid the mistakes of others and remain committed to exporting American manufactured goods. Exported products represent approximately 40 percent of total annual sales for AERO Specialties; a percentage which we continue to work towards growing. Following the SBA Regional Exporter of the Year recognition, AERO secured a new distribution partnership with GSE Services Pty Ltd. of Australia. GSE Services will be an AERO distributor for the Australia Oceania region that encompasses Australia, New Zealand, Fiji and the surrounding islands. There is significant market demand for our products in this region and we will now be able to more closely meet the demand from this region’s growing customer base. We are excited for the future of this partnership and the prospect of increasing international sales in this region. GSE Services will perfectly complement our international sales force and only add to our vault of industry knowledge and unparalleled customer service. AERO Specialties is striving to make significant gains, both domestically and internationally, as the aviation industry begins to recover from the global economic downturn. Our efforts are highlighted by recent awards and distribution agreements. We believe that our company’s values, founded on the principles of high-quality manufacturing and knowledgeable customer service, will provide the path to a prosperous future. We hope to provide a solution to your GSE needs, whatever they may be and wherever you are located. 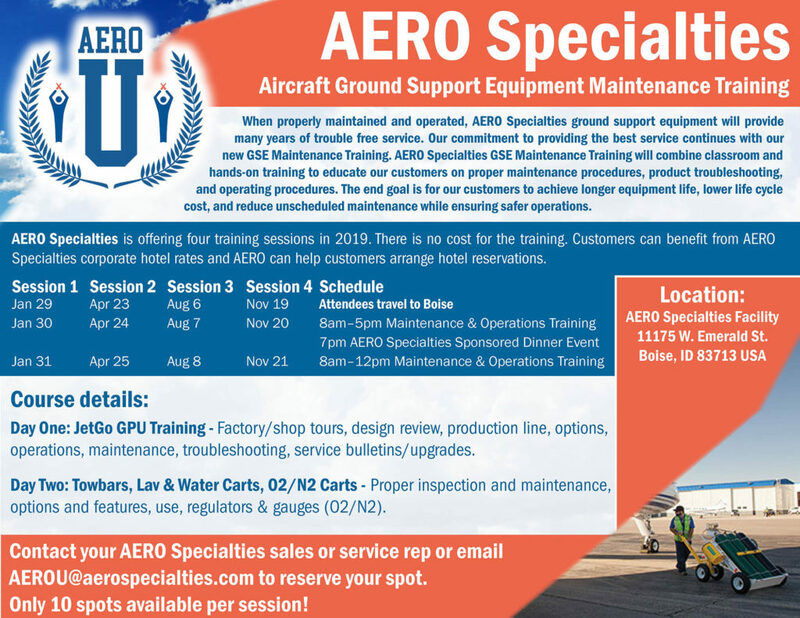 Please do not hesitate to contact us with any questions you may have regarding the equipment needed to service your aircraft.